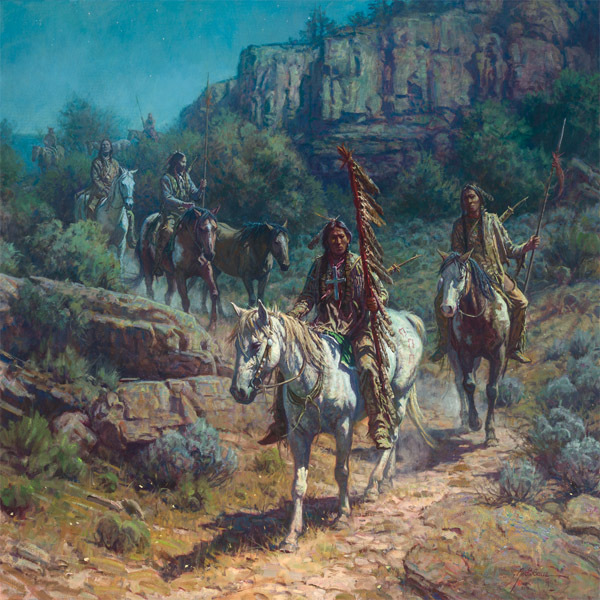 Martin Grelle thrills his collectors with beautifully detailed and historically accurate paintings of the Native Americans. "Comanche Moon" has all the Grelle trademarks. As darkness engulfs the landscape, this party of Comanche braves makes their way through rugged terrain. Perhaps they are in enemy territory and must travel under the cover of the night sky.